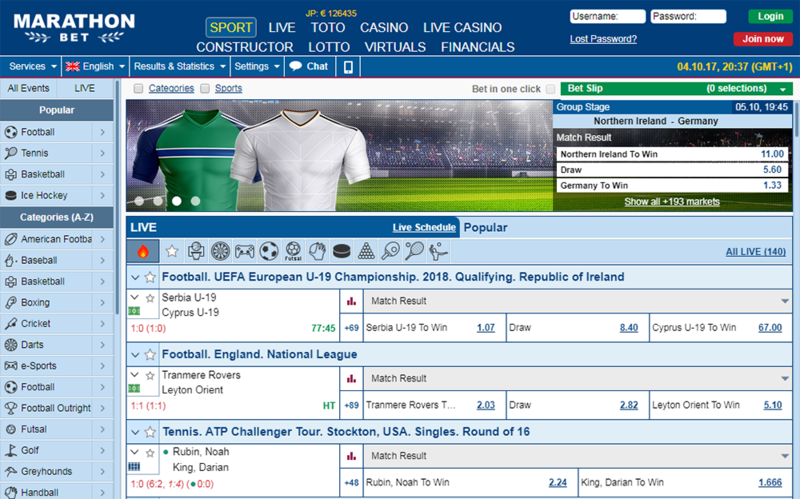 Marathonbet is an independent sportsbook operator established in 1997. Marathonbet operates online through four internet gaming licenses. Marathonbet.com, Mbet.com are the registered domain names of Panbet Curacao N.V. which operates under a licence issued by the Government of Curacao. Marathonbet.co.uk is the registered domain name of Marathon Alderney Ltd which operates under an e-gaming licence issued by the Alderney Gambling Control Commission. Marathon Alderney Ltd is also licenced by the United Kingdom Gambling Commission. Mbet.es, Marathonbet.es and Maratonbet.es are registered domains of Mediaplay Solutions S.A. which operates under gaming licenses issued by the Directorate General for the Regulation of Gambling (Dirección General de Ordenación del Juego) – Spain. Panbet Curacao N.V., Mediaplay Solutions S.A. and Marathon Alderney Ltd belong to the Marathon Group. All Marathonbet products have been independently tested to confirm their integrity and fairness. Our primary aim is for you to enjoy yourself. Please take some time and familiarise yourself with our site. Sign up for an account. Our Customer Care team will gladly answer any questions you have.